Thanks to everyone for the enthusiastic response to my first quarterly Sofa Spotlight last week. It’s always gratifying to hear my selections described as ‘intriguing’ and ‘unpredictable’ – that’s the aim – and that readers have discovered books they’d never heard of. 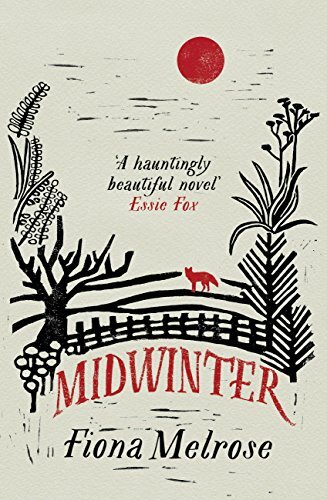 As mentioned, I’ll be hosting at least four of my Spotlight authors on the Literary Sofa, starting today with Fiona Melrose, author of debut novel Midwinter. Suffolk is in many ways its own country. I have to admit its first impressions were not always favourable. For the most part my first months alone of a Suffolk farm swung between a weary loneliness and terrible kind of panic. Its landscape is flatter and wider than many other parts of the UK. Its skies, while offering the kind of optimism that far-off horizons suggest, also give one the sense of a borderless, unbraided energy, as if the earth might at any time simply return to salt and slip into the sea. It is this shifting beneath the feet, the sense of being caught between two elements that gives the area its often eerie nature and one which I found perfect in both mood and metaphor for my debut novel Midwinter. Land and location are as much a geographical orientation as they are emotional one. In Midwinter, the story of a father and son, Landyn and Vale Midwinter, struggle to express their emotions and responses. As a writer this can be constraining. But, by using the location and landscape I was able to tap into a different register for both of them, allowing the landscape and its creatures to express what they could not. Also by moving my farmers around various locations in Suffolk, I gave myself the opportunity to press them into situations (be they confrontations, memories or simply a set piece to give some air to their conflict) that might elicit a response or prick the boil of active memory. I pilfered the area around where I lived for substance: a church near Halesworth, a particular tree in the Finn Valley, a pub in Woodbridge, or a boat off Orford Ness. While these were not specifically named, those who know the area would recognise the place or even an amalgam of a few locations where necessary. The specific location in Suffolk that I have chosen for this piece is the Blytheburgh Cathedral, Halesworth and the shifting marshlands that surround it. 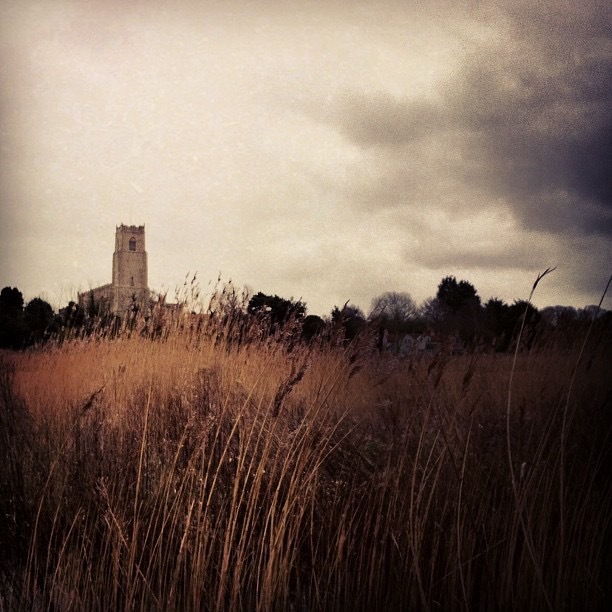 Also known as the ‘Cathedral of the Marshes’. 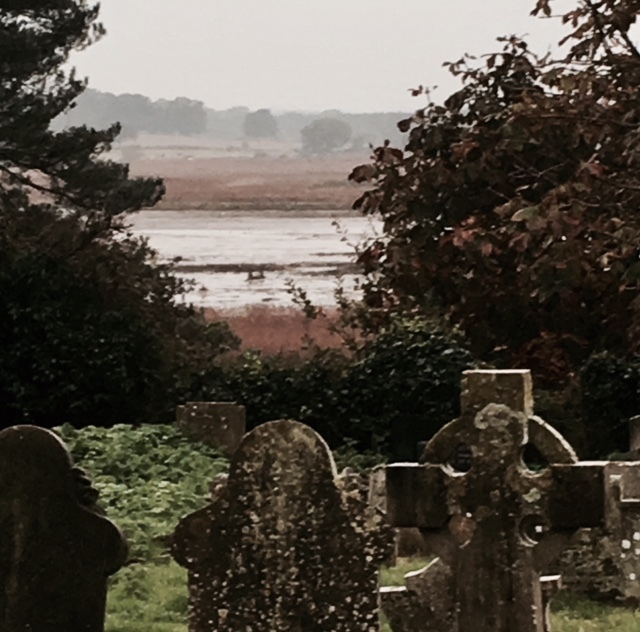 Blythburgh is one of the earliest Christian sites in East Anglia. There was a church there as early as AD654. I have never been there on a warm day despite frequent visits and a recent return again saw me battling through rain and icy winds. Possibly, a visit on a warm day would leave me disappointed. It is for me a place that has both a beautiful redemptive quality as well as a much more complicated, oily energy. The church is larger than it should be, somehow, and sits proud on the curve of the water and reeds which combine to give a sense that despite the dramatic imposition of the building on its modest landscape, the church’s foundations are set in nothing more than silt and sand. Indeed on my last visit I was unable to walk along the river banks as they had collapsed so badly that entire portions of the path and subsided back into the marsh. 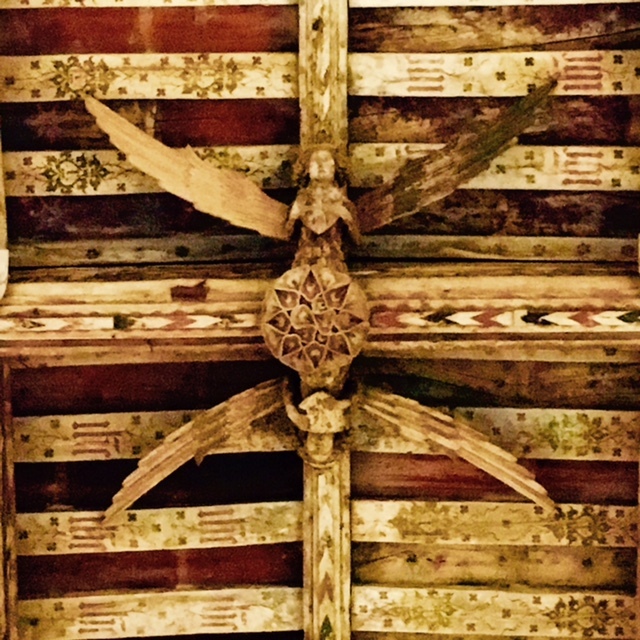 Among the most exquisite features of the church itself, are the carved roof angels which look down on both the congregation and the curious. Despite the relative simplicity of the church, the angels still betraying their former colour, each has a different expression. A crucial and difficult chapter of Midwinter takes place here and I like to think the roof angels are pleased with the work I did for them. The church also appears earlier in the book in a flash back to ten years previous when father Landyn and son Vale go there to lay their wife and mother to rest. Another difficult chapter, and again I was grateful for the company of the roof angels as I wrote. I do like to speculate on just how different Midwinter would have been had I chosen to move to Sussex or Dorset. I do not know enough about the local charter of other counties but the reticence I felt from the people of Suffolk is certainly a reticence held by the landscape itself. There is no overt effort to charm, rather the visitor is required to lean in a little closer to the conversation, make the first overture, expect to be rebuffed a few times before finally a hand is offered. But a Suffolk friend is a friend for life and so it is now between myself and the county that once felt so cold. Many thanks to Fiona for this wonderful piece and the stunning photos. 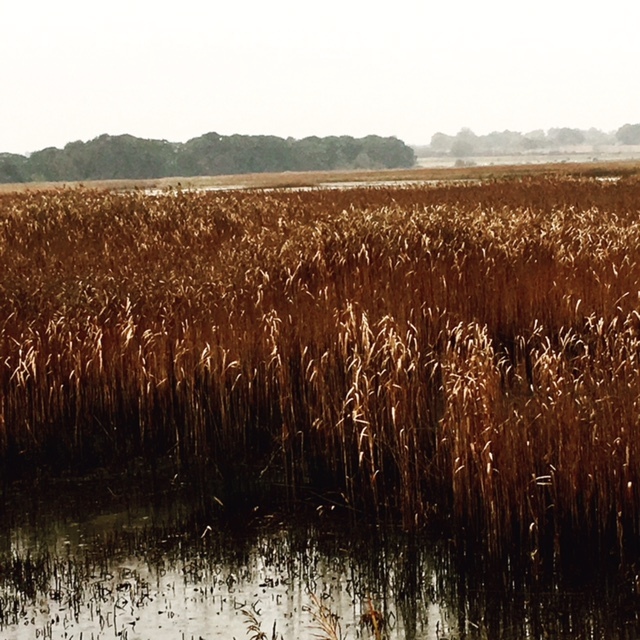 A profound connection with the Suffolk landscape underpins every layer of this quietly complex novel in which all elements are delicately balanced. The poetic beauty of the prose is moving in itself, more still as a conduit for a dark and tragic story shot through with filaments of light and consolation. 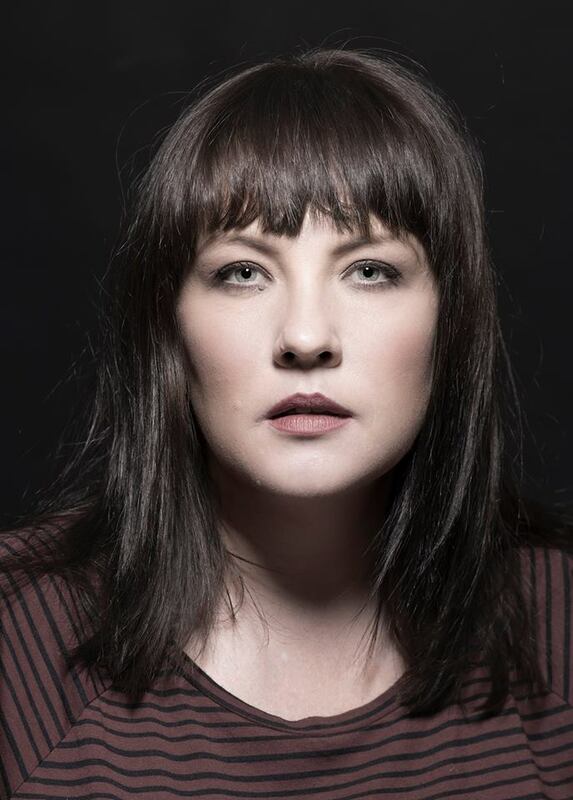 The failure of communication in a family affected by tragedy is a theme of particular interest to me as a writer; here it is handled with compassion, insight and no attempt to shy away from the rawness of the wounds inflicted. This novel wrestles with generic preconceptions about men and emotional response without in any way perpetuating them – the scale is too human, too intimate for that. And maybe that’s the reason this novel succeeds both as a genuinely literary work and as a poignant and highly relatable story. Next week I look forward to hosting an extended essay on The Gay Novel by Saleem Haddad, debut author of the novel Guapa, set in the aftermath of the Arab Spring. In other news, for followers outside the UK or who anyone who missed it in print, there is now a link to my recently published short story Perfect IKEA Life. Many thanks to Fiction Editor Karen Byrom. Oh, this does sound intriguing. Suffolk – the whole of East Anglia – does indeed feel like another country. I don’t know it at all well, but the few times I’ve been, I’ve wondered why I haven’t been more often. I like the non-touristy atmosphere and sense of space. People getting on with their lives and not bothering anyone. Suffolk isn’t on the way to anywhere else, so if you go there, it’s on purpose: it’s full of people who want to be exactly where they are. I do like that. This homage was beautifully written, and makes me want to read your book. Thanks for that! I wasn’t sure whether or not to read this post as I’ve just taken Midwinter out of the library but I did, and I’m glad I did. It’s a beautiful introduction to Fiona’s writing, and wonderfully illustrates how important finding the right location for your story can be and, once found, how it can feed into your story and work for you.